I received products and/or compensation for this post. All views are my own. Sponsor is responsible for prize fulfillment. 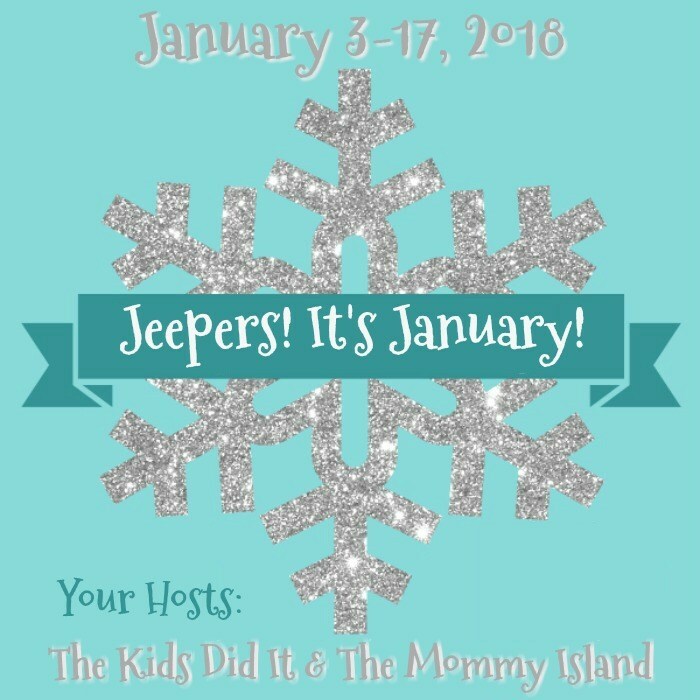 Welcome to the Third Annual Jeepers It's January Giveaway Hop! Are you scratching your head and wondering where the time went? So are we! Once again we're joining forces with some amazing bloggers and authors to bring you a fun way to exclaim, "Jeepers! It's January!" with us! 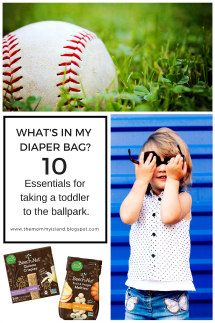 Read about some innovative family products below then enter for a chance to win them. Be sure to scroll down and hop along all the events offering prizes for every taste! Founded in 2007 by Pic Picot, New Zealand-based Pic’s Peanut Butter is New Zealand's #1 selling peanut butter and is peanut butter worth eating. Made from the finest quality Hi-Oleic peanuts from Australia that are fresh roasted and lovingly squashed in Nelson, Pic’s then quick seals its peanut butter to preserve freshness and flavor. Pic’s is all-natural, is gluten and sugar-free and has no additives – simply peanuts and a trace of Kiwi salt, the unsalted version containing 100% peanuts. Pic’s Peanut Butter is NON-GMO Verified. Four varieties are offered - Original (Crunchy), Original (Crunchy, no salt), Smooth and Smooth (no salt). Australia based Stuck On You was founded in 1995 by Carrie Felton, a mom of three boys. 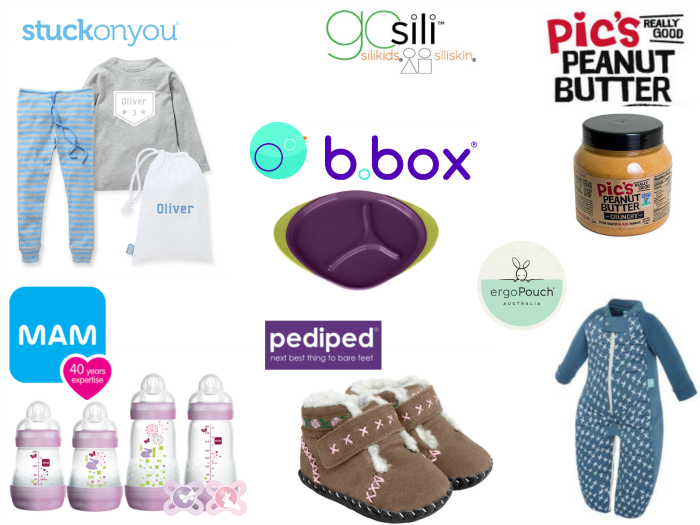 A global leader in personalized products for baby and beyond, Stuck On You products are available in more than 15 countries. Felton created Stuck On You to celebrate the individuality of every name, bring joy to new parents with unique, timeless products for every child, save families time, energy and money and help them to lead a more organized life. In addition to a broad offering of labels, the Stuck On You collection includes activity and personalized books, durable and stylish bags, lunchboxes and drink bottles, stationery, bag tags and gorgeous gifts for all ages. Exceptional quality, unsurpassed comfort, and distinctive styling have made the award-winning company the fastest growing children's footwear brand in the United States. pediped® footwear has been awarded the American Podiatric Medical Association Seal of Acceptance for the promotion of healthy foot development, and preeminent orthopedic medical professionals, Dr. Mininder S. Kocher and Dr. Thomas W. Vorderer, deem pediped® shoes an excellent choice for parents/caregivers who want their children’s feet to develop naturally and healthily. 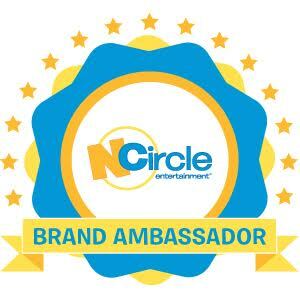 pediped® has received numerous industry awards and accolades including recognition from Earnshaw’s, the premier media resource serving the children’s market. In 2015 pediped® was recognized by the Footwear Industry Awards as the Children’s Footwear Brand of the Year and earned a 2016 Earnie Award from Earnshaw’s magazine as the Footwear Brand of the Year. Traverse City-based GoSili was founded in 2006 by Stacey Feeley and Giuliana Schwab with the mission of Waste Less! 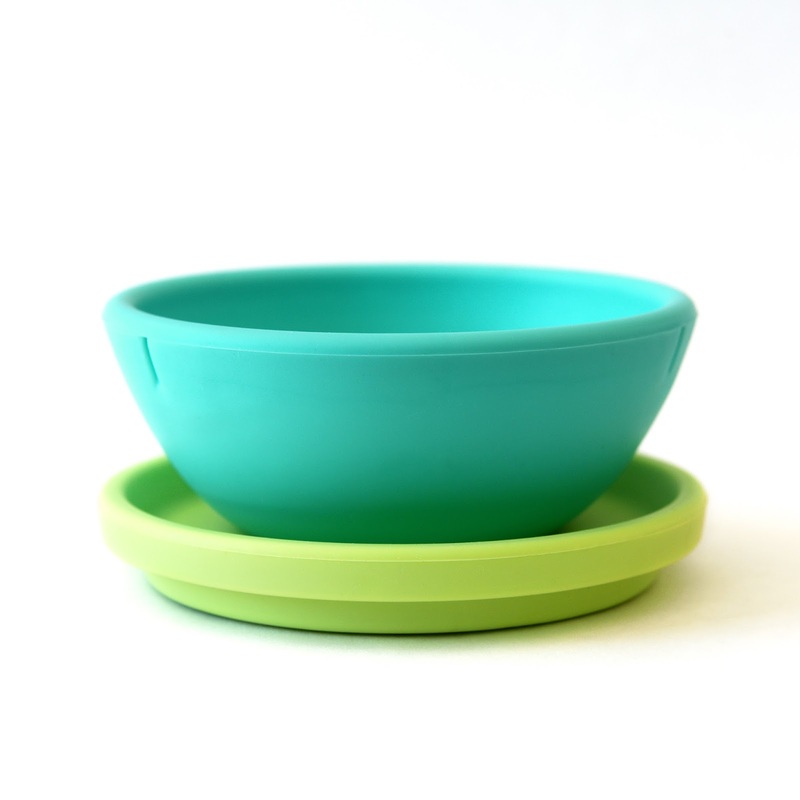 GoSili designs and manufactures silicone tableware products for the whole family. The excessive use and waste of disposable paper and plastic inspired the GoSili founders to create a modern line incorporating all the practical benefits that silicone has to offer. GoSili is the parent company of the award-winning children’s silicone products brand Silikids. GoSili products make the basics better by bringing an alternative to plastic, bridging the gap between great design and affordability while improving the way we live! A win-win for all! MAM combines technological innovation, medical function, and contemporary design to develop superior baby care products that support a baby’s development from day one. Since MAM developed its first pacifier in Vienna in 1976, it has evolved to become a global authority on baby care product design and quality. Today MAM products are used by families in over 60 countries and on six continents. To find out more and view MAM’s baby care range of award-winning pacifiers, bottles, cups, teethers, oral care items, coordinating accessories and gift sets visitwww.mambaby.com. Melbourne, Australia-based ergoPouch was founded in 2009 by Alina Sack. As a mother, Sack drew on her own personal experiences of sleep deprivation to come up with innovative products designed to help babies and kids get a better night’s sleep. 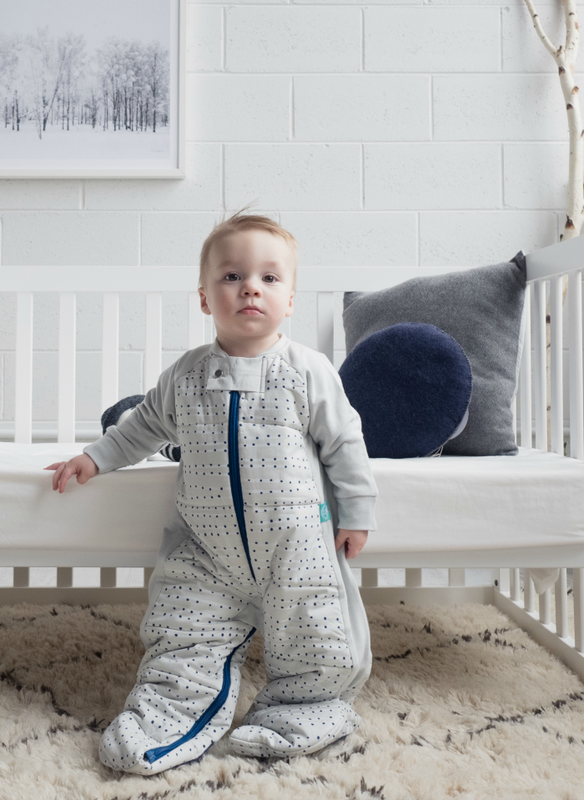 The award-winning ergoPouch collection includes premium quality baby swaddles, sleeping bags and sleepsuits available from birth to 6 years of age sizing. All ergoPouch products are made with natural fibers including Organic Cotton, Bamboo and Merino. ergoPouch products offer great functionality and versatility with swaddles that can easily transition to a sleeping bag, and sleepsuits that convert from bags to suits with legs for easy use from bassinet to the stroller. ONE entrant will be selected by the entry form to win the Jeepers! It's January! Grand Prize! Open for entry to readers in the US, 18 years and older from 01/03/18 at 12:01 a.m. ET thru 01/17/18 at 11:59 p.m. ET. No purchase necessary. Void where prohibited. The winner will have 24 hours to respond to notification email to claim their prize or a new winner will be selected. See Rafflecopter for official rules. The Mommy Island is not responsible for sending the winner their prize. I like that Stuck on You offers stationary and calendars for families. I like that Pic’s Peanut Butter contains greater than 99% peanuts! From b.box I love the toddler cutlery set in strawberry. I want to try the Peanut Butter!! yum. I really like the ORIGINALS® CLIFF PURPLE LILY pedipeds for my little girl. Mmm!! I think I need some Pic's Peanut Butter Slugs in my life!! I am a huge peanut butter off a spoon eater lol!! This is even better!! From stuck on you, I love the family wall planner! This would be a super prize for those with you children or those who care for them! I like the Sippy cups from b.box. The peanut butter sounds delicious! I love the selection at Pediped - absolutely adorable, and very well made. I love the SILIBOWL from Silikids!! My kiddo needs one!! B.box has some really cute toddler cutlery. It seems safe for toddlers to use. I LOVE the MAM Night pacifiers!! They glow!! Pure genius!! I like the GRIP 'N' GO™ STARLITE PEWTER shoes at Pediped. I love all the b. box products. The bright colors are fabulous and the toddler cutlery set is perfect for little hands! Thanks for the great giveaway! I love the pediped shoes. We have bought these shoes before and the are really great shoes. I like that Pic's Unsalted peanut butter is 100% peanuts. I would try the Siliskin Silicon Straw Cup. It doesn't collapse, so prevents spills. And has a straw. I love the ORIGINALS® LOUISA BLUE FLORAL shoes from Pediped!! Super cute!! I like that Pic's is sold on amazon too. It makes it easier for me to buy it. I love the LARGE PERSONALIZED BENTO - KIDS DESIGNS from stuck on you!! So many cute things over there!! I actually got some Pediped shoes for my nephew a while back & they were really nice. I liked how durable they are. They matters with kids' shoes! I love the ErgoPouch Winter Baby Sleeping Bag (3.5 tog) - Blue Stars & Stripes!! Super cute and perfect for these cold winters! The Pic's Peanut Butter is made up of 99 to 100% peanuts. (depending on whether you buy salted.) I like that! I visited B. box and I love their DIAPER WALLET - SHINING STAR!! Super cute and convenient! I am loving the GRIP 'N' GO™ NAOMI BOOT BLACK from pediped. They look super cute and comfy too. I love the personalized SUPERSOFT TOWELS from Stuck on you!! Adorable and they look so luxurious! I like the Stuck On You Height Charts. It's nice that if you move, you can take it with you! I love the ergopouch too!! My favorite thing on b.box is the universal silicon lid. You can put it on any glass & make it a sippy cup! genius! We could use some of those clothing labels from Stuck on You. 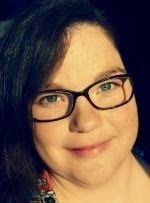 I'm disabled and live w/ my older son and his family. When doing laundry, you'd be surprised how hard it is to tell whose clothing is whose, esp. the two little ones' clothes. The stuck on you lunchboxes are pretty nice. I might like that adult bento cooler bag for myself, lol. I love the FLEX® ECLIPSE LIMEADE boots from Pediped!! Suepr fun colors and perfect for spring! I love the family wall planner, I so need this in my life. 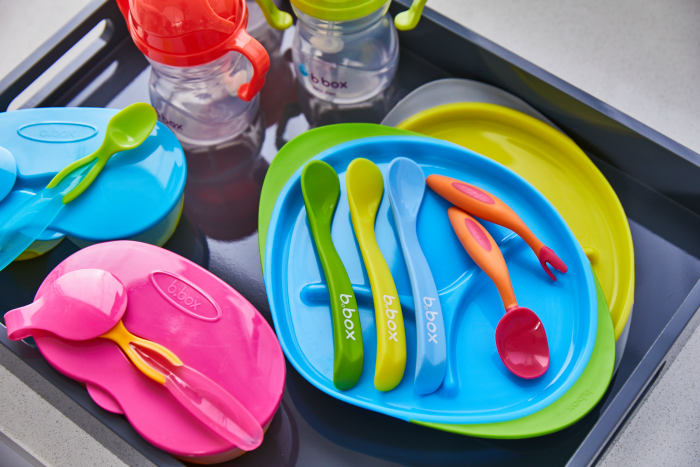 The b.box cutlery sets in ocean breeze are cute & perfect for toddler hands! Kids would love the wavy shape. 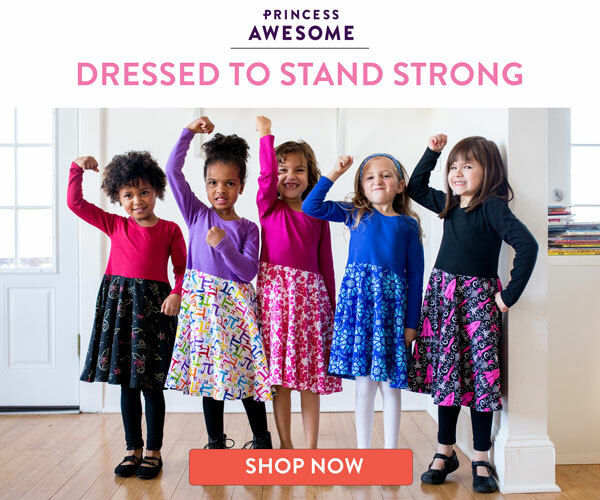 I visited Pediped I really love the shoes and think they would be great for my granddaughter and for my son. My husbands family have horrible flat feet and arch issues. So these look like something we could use and they seem so affordable too. This mama needs one of the NEW GOSILI TO-GO COFFEE AND TEA CUPs from Go Sili!! Love them! I love pedipeds so much! My oldest daughter wore them and when it's finally time to get shoes for my 9 month old, they'll be pedipeds. I love the baby shoes on their site, especially the Jazzie Peacock style. I love the XL bowl and straw from B. Box!! I think everyone in my house needs one!! I love the MAM First Brush!! Such a great way to get kiddos to start brushing and focusing on oral care! I'd love to try the Siliskin's straws! we go through so many straws & those look pretty neat. I like the Easy Heluva Good! Cheese Board For The Holidays post on The Kids Did It. Not only does Mam offer a great product they also offer Free delivery on orders over € 19. I am excited to try the peanut butter. I also love MAM I love the anti colic bottles they make they work great.